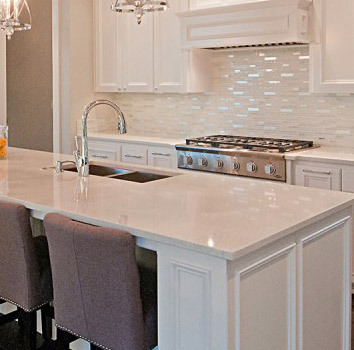 Marble is a great product to create that classic look. Depending on the type of marble you choose, it can cost less than most natural stones. Most have a beautiful flow and unlike granite, there is no grainy texture. Marble is a great choice when it comes to design. However, if you’re looking for durability, marble is not the best product for you. It can scratch easily, requires sealing and can and will stain for citrus acids like lemons and other elements.